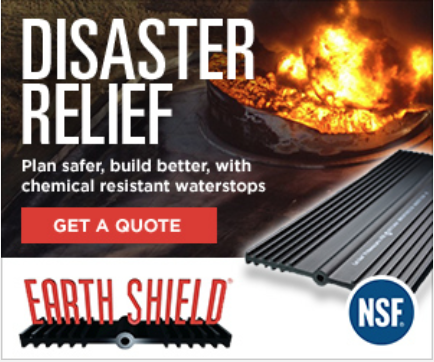 Today I achieved another milestone for my company and the product we manufacture — Earth Shield® Chemical Resistant Waterstop — by becoming the first (and only) waterstop in the world to achieve GreenSpec® approved status. Greenspec is a publication of BuildingGreen, Inc. that independently evaluates construction material's "greenness". Products are considered "green" when they are eco-friendly and contribute to the sustainable design of a structure. Click here for more info. GreenSpec independently evaluates materials for inclusion to their directory, so the subjective nature can make for a protracted submission process .